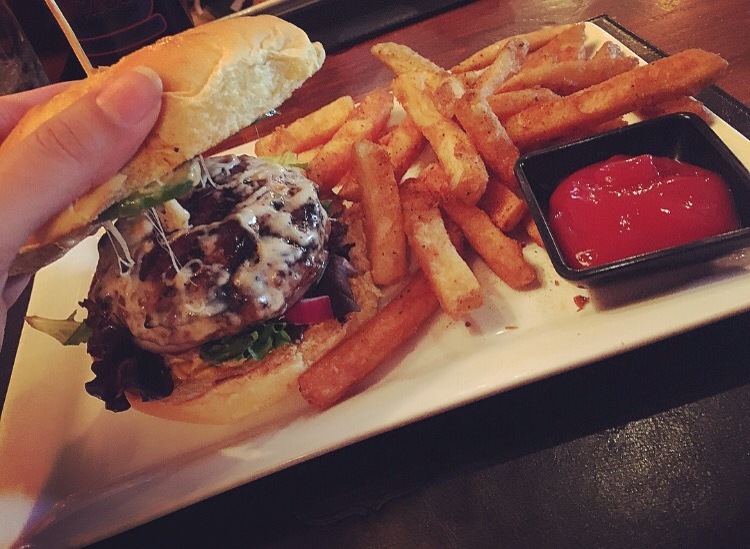 If you are familiar with the Bethlehem area, then chances are Broadway Social rings a bell. When the joint first opened 2 years ago, I went for a dinner but thought the food needed a little improvement. The establishment started to focus more on their night life and somewhat drifted from delivering quality food until recently when the menu was revamped. If you’ve been following my posts, than you’ll know that the past week was restaurant week in Bethlehem and I just had to make a few stops. I posted my Twisted Olive and Yianni’s experience, so here’s my Broadway Social experience. First of all, the menu choices were just what I wanted. The 2-course meal was only 10 bucks which is an absolute gem in my eyes. Now, doesn’t that all just sound delicious. 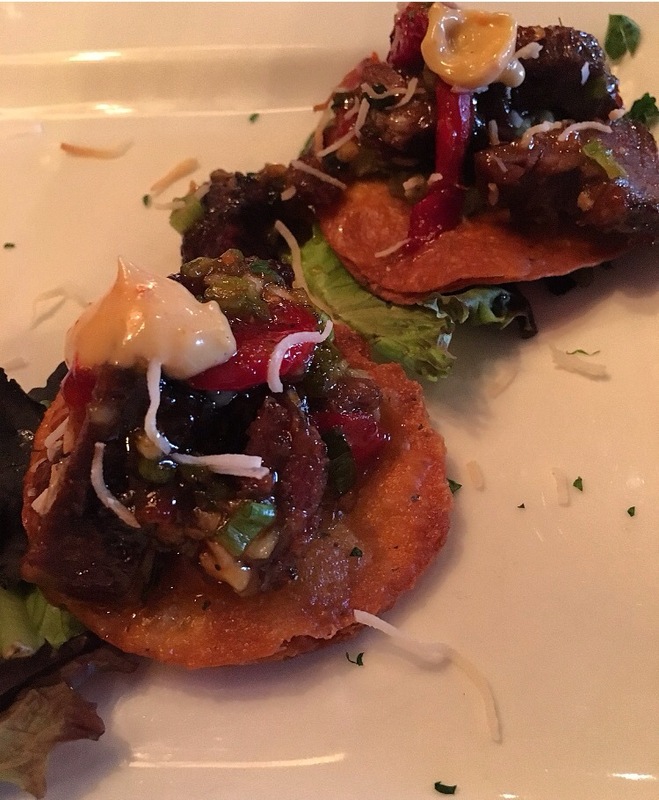 Without much contemplation, I chose the short rib Tostados. The tender short rib was cubed and melted like butter. The slivers or roasted red peppers were sweet and smoky and soaked up the Asian sweet chili sauce which was bomb. The Asian twist on a traditional Mexican dish was spot on. I’m always a fan of a fresh scallion garnish as well so it was just right. The flavors sort of all blended together but I’m assuming that’s as the point. The crispy tortilla really held it’s own and did not become soggy from the sauce which made it easy to eat and enjoy. Waldorf Salad- spring mix,thinly sliced apples, crumbled blue cheese, dried cranberries, toasted walnuts, finished with a pomegranate vinaigrette. Process of elimination means I chose the Ghost burger. I love spice and I love a good burger so I figured it was right up my alley. The tender and moist patty was layered on top of a bed of fresh crunchy greens, topped with thinly sliced tomatoes and red onion, and pieces of jalapeño. Pepper jack cheese is my favorite of all time and I was more than happy to take the bun off and see the melted gooey goodness. The spice was extreme so I had to kick a jalapeño or two off the burger. The sriracha aioli was a nice garlicky undertone that diminished some of the heat. The Cajun fries were so bomb! Nice and crispy on the outside with a slight Cajun kick and nice and fluffy on the inside. Great way to end restaurant week! Until next season Bethlehem!